So every year we have a couple arts and crafts shows here at the studio. One year I had a couple show up and while she was walking around he took me aside and asked me if I could draw angels. As his wife loves and collects angels and he wanted to get her something special for Christmas. 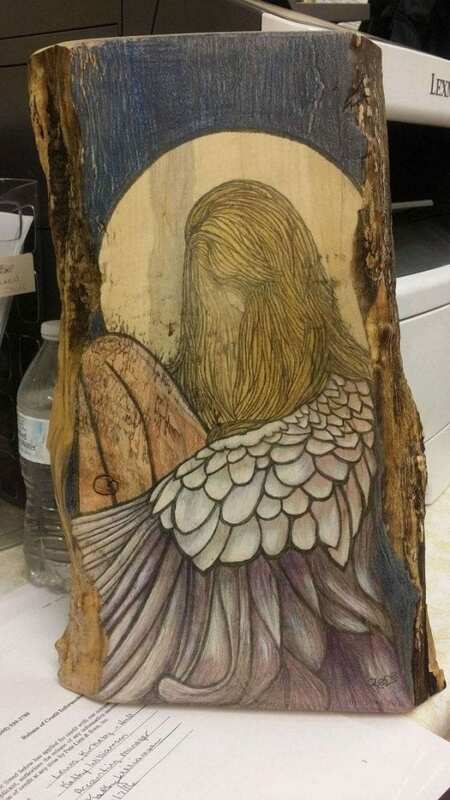 So I came up with 2 different drawings on pine slabs. He liked both of them so much that his wife ended up with 2 angels for Christmas.